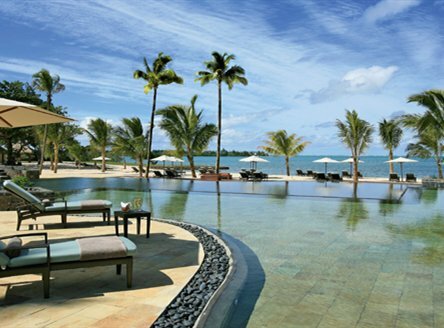 With outstanding white sand beaches and crystal clear waters, a honeymoon in Mauritius promises a special experience. 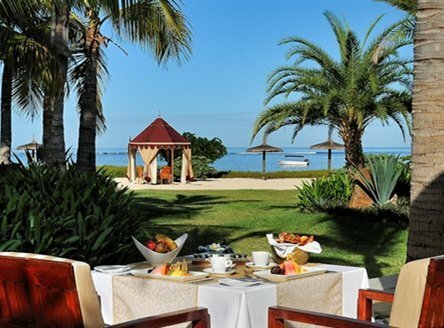 Mauritius is a treasure chest of experiences; stay at one of our luxury hotels and resorts in Mauritius and experience a romantic Mauritius honeymoon. 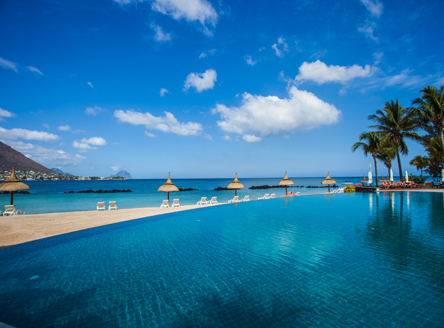 Most Mauritius hotels feature amazing honeymoon specials; many also offer 'wedding packages'. These vary between hotels, from discounted accommodation and Champagne in your room, to more 'luxurious' treats such as discounted Spa treatments or even a romantic sunset cruise. Many hotels also extend honeymoon offers to couples celebrating 'landmark' wedding anniversaries - please contact us for more details. 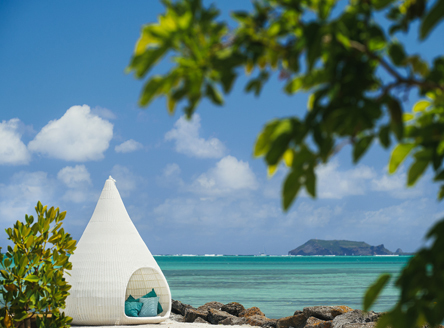 Relatives and friends wishing to contribute to the cost of a couple's Mauritius or Seychelles honeymoon as a wedding gift, may take advantage of our Gift List Service. This allows contributions to be put towards the final balance of a couple's honeymoon in Mauritius. 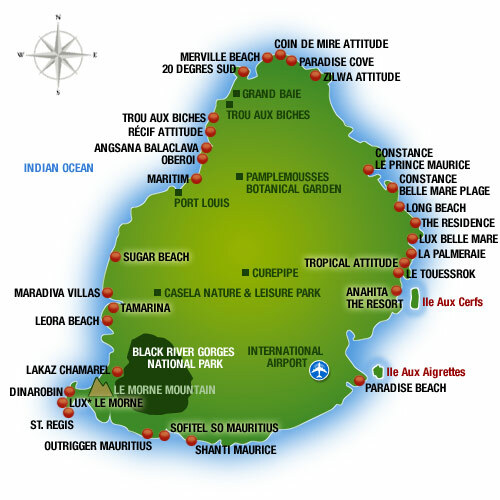 Examples of Mauritius honeymoon packages are shown below. Please note, however, that offers are subject to continual change. Please call our experienced team to discuss your individual requirements; we'll then tailor a quotation to your specific needs. Bride stays FREE on All Inclusive, plus romantic dinner at the Beach Restaurant, bottle of wine and 20% discount on Spa treatments. Honeymoon offers include complimentary B&B accommodation for the bride, bottle of sparkling wine, candlelit dinner, an exotic cooking class... plus more! Honeymoon offers include 30% discount for the Bride on Half Board, bottle of sparkling wine, seasonal fresh fruit selection, plus a romantic dinner for the couple! Stay 7 Nights, Pay 4 and choice of either a 5-course dinner at hotel's Plantation Club or a 1-hour duo massage. Plus, free access to Jacuzzi & sauna at the Spa, and an exclusive wine & cheese tasting in the wine cellar. 10% discount per person per night & an early booking discount. And, for stays in May, June & September, reactive an additional 5% discount! Free honeymoon extras also include bottle of Champagne & fresh fruit in room on arrival, couple's spa treatment, plus daily complimentary 2-course lunch! Anahita The Resort - 5* resort where suites & villas have private pools! 30% discount for the bride. Plus, complimentary bottle of wine, romantic candlelit dinner and a 50-minute duo massage. Up to 80% discount for Bride for stays on Half Board! Plus, honeymoon gifts including complimentary bottle of sparkling wine, romantic candlelit dinner and one 50 minute Spa treatment per person. Bride saves up to 70%, plus honeymoon extras! Honeymoon offers including celebratory sparkling wine and a special romantic meal. Free Nights and 15% Early Booking Discount... and on All Inclusive too! Plus honeymoon 'treats' including bottle of sparkling wine in room on arrival, romantic candlelit dinner and free room upgrade (subject to availability). Maradiva Villas - luxury hotel with private pool villas! Honeymoon offers including 40% discount for the bridal couple, private candlelight dinner with wine, 1 hour complimentary 'couples' massage, special floral arrangement on arrival, plus daily afternoon 'treats'! Please note, honeymoon offers cannot usually be combined with other special offers and are subject to availability. You will need to take your marriage certificate with you on holiday. 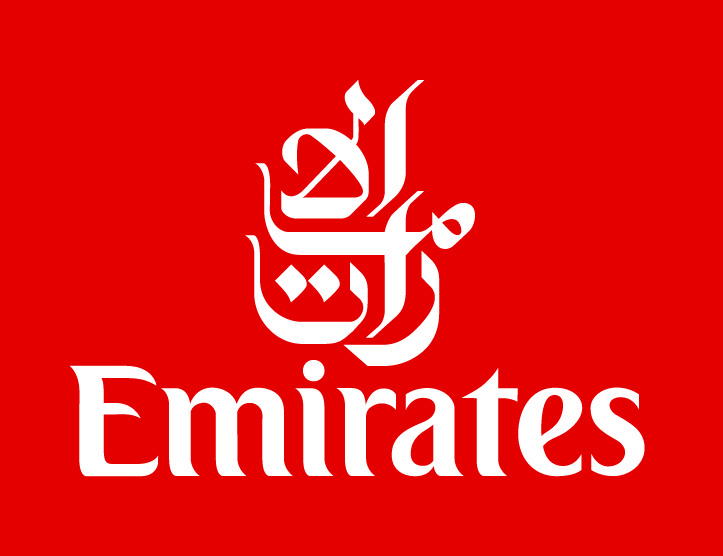 Price examples quoted above include return flights from London and transfers as stated. 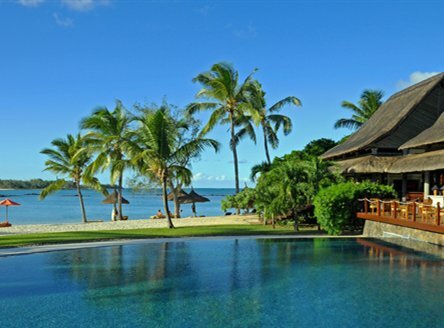 The above are just a small selection of offers available for your dream honeymoon to Mauritius. 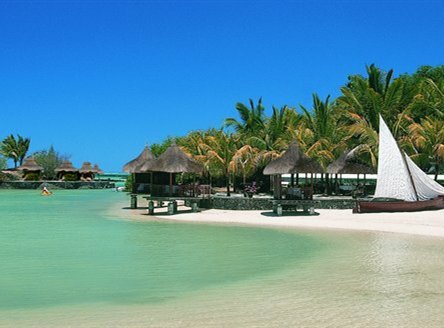 Please call us for specific deals for the time of your honeymoon and also read about our Mauritius Weddings. 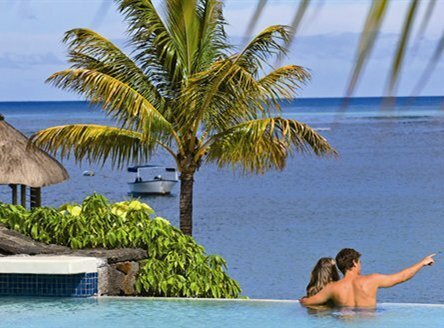 And, don't forget, if you are celebrating a wedding anniversary in Mauritius, many hotels offer discounts as well as special romantic 'treats'. 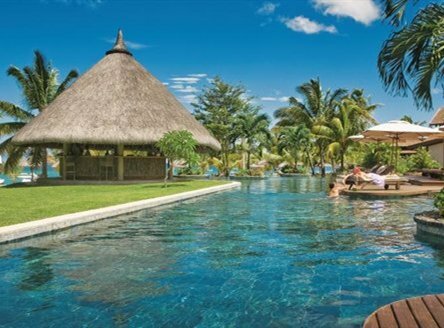 Our expertise means we can make your Mauritius honeymoon extra special, by tailor-making a luxury stopover holiday in Dubai for example. Please call us with your requirements. We also offer an unrivalled choice of holidays to Seychelles. Perhaps you may also wish to consider a Seychelles Wedding or a Seychelles Honeymoon. Seychelles is also perfect for celebrating a special wedding anniversary, with great deals available! We have been arranging Seychelles Holidays for over 25 years and there are a great variety of hotels and offers to suit all budgets.